This is the inaugural post for This Week In Games. In it I will recount what games I played in the past week as well as cover any gaming news that I thought was neat. So as far as gaming goes I missed game night at Hypermind so the play list is kind of short. Z and I got a quick game of Omen: A Reign of War in. 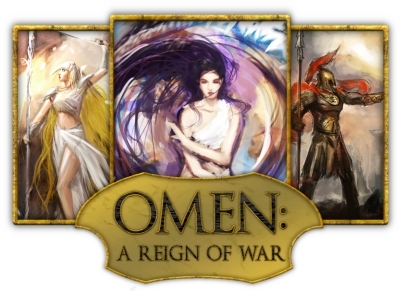 Omen is a card based battle game from Small Box Games. It has beautiful art and plays smoothly. I’ll get a full review on it as soon as I get a couple of more plays in. Liv and I played a couple of Gamewright games. We traded wins on Zeus On The Loose and then she beat me twice at Castle Keep. Both of these games are great for families. Zeus is good for kids because it reenforces addition skills and quick thinking. Castle Keep is good for pattern recognition. And they are just fun quick games. Liv and I also got a game of Hemloch in. 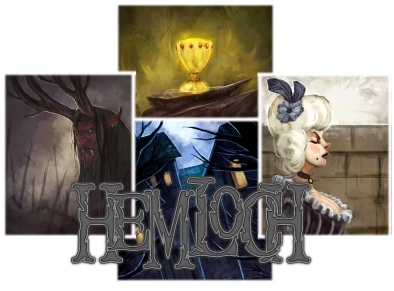 Hemloch is another Small Box Games game. Can you tell I really like Small Box? This is another card game with a bit of a board game mixed in and has a dark fantasy theme. I enjoyed it. And will get a review in soon. –Queen Games – reprints of Arena: Roma II, a Lancaster expansion -The New Laws, and the Alhambra Family Box featuring the base game and expansion – The Vizier’s Favor plus Granada. I’m a Stefan Feld fan boy so I’m glad to see Arena coming back. Lancaster was one of my favorite new games of 2011 so an expansion is cool. I like Alhambra and the family box is a good compromise between just the base game and the Big Box. –Cubicle 7 – Cubicle 7 mostly does rpg’s. But they just announced that they will be doing a Dr. Who card game designed by…Martin Wallace! I’m sold. And Z will love it. –Z-Man – Goa is finally coming back. I’m very glad because this is a great game. It is a definite buy. Days of Wonder just announced a new expansion pack for Memoir ’44. The Equipment Pack will have tons of new stuff – figures and vehicles from different countries, new cards, and new rules. 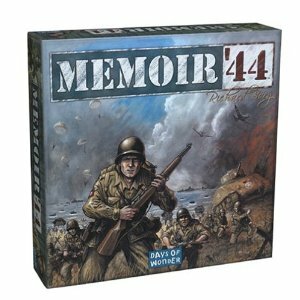 Another must added to the huge Memoir ’44 want list. 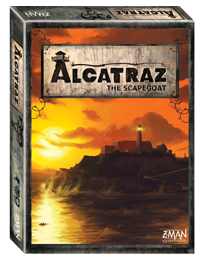 Z-Man – Alcatraz: The Scapegoat is on the way. This co-op with a twist sounds like a lot of fun. AEG – AEG has released the Thunderstone base game as a free print and play. All cards are updated to work with Thunderstone: Advance, the upgraded version of the game. Thunderstone: Advance streamlines the game and gets you to the dungeons faster. 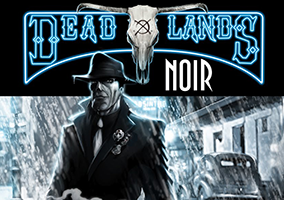 It sounds like AEG has big plans for this game with expansion ‘modules’ being released on a regular basis. I have an interview with AEG Senior Brand Manager Todd Rowland that should drop this week. WizKids – The Lord of The Rings: Nazgul is on the way. This one is a co-op where you play the Nazgul and must complete missions before the One Ring is destroyed. It’s co-op with a competitive twist and sounds intriguing. I Waste The Buddha With A Crossbow – interesting article on the Indiana Jones RPG. Friend of Go Forth And Game Seth Jaffee has some updates to some of his current in progress designs and an announcement that he is contributing to the book Why I Design. Check them via the link. The Opinionated Gamers have some interesting reviews of Talat, Upon A Salty Sea, and Ora & Labora. Board Game Reviews by Josh reviews Nemo’s War by Victory Point Games and Kingdom of Solomon by Minion Games. Both are games I want to check out. Father Geek – Cyrus posts his webcomic, Senor Tex-Mex!. It’s fun and brought back memories of El Espectro, the comic Micah Harris and I did for The East Carolinian back in college. Maybe I’ll post some of those soon. 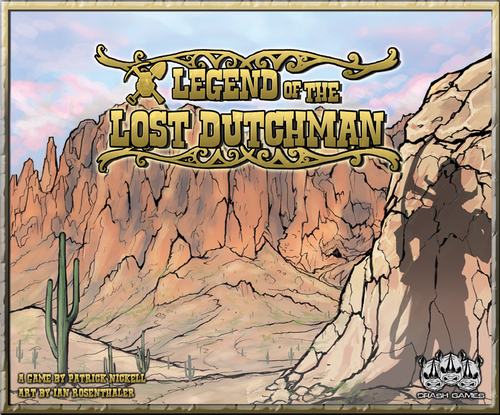 Little Metal Dog – posts a review of Legend of The Lost Dutchman by Crash Games. Speaking of Lost Dutchman, Dice Hate Me also posted a review. I played this with Chris and enjoyed it. It needs some polish but is a solid game. It is currently on Kickstarter. Speaking of Dice Hate Me, Chris and Cherilyn are at Origins (or rather have just returned from Origins when this posts) and should have their report up soon. Meanwhile recent posts include: a Ground Floor from Tasty Minstrel review ( I played that one with him too. 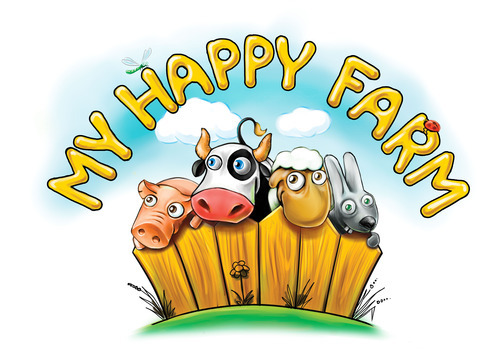 ), a review of My Happy Farm from 5th Street Games (We played that too. 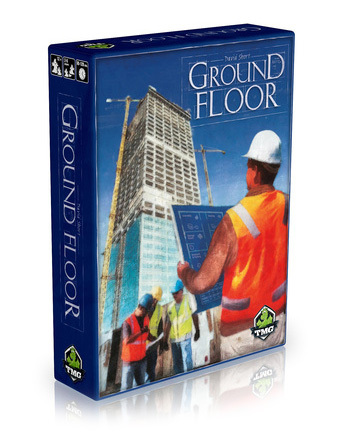 ), an announcement that DHM Games has signed Compounded, a game by Darrell Louder. GamerChris – a session report including Catacombs, Walnut Grove, and Lords of Waterdeep, a picture of the week, and…his first podcast, Exploring Games with GamerChris, Congrats to Chris for jumping into the pool. That’s all the news for this week. Join me next week for some more. Until then leave a comment and check out some of the sites and games that I mentioned. All Photos are copyright by their various authors/publishers.